Ohurongo Cement has appointed Estelle Alberts at the Plant Manager at the company’s plant in the Otjozondjupa region of Namibia. Alberts becomes the first Namibian to hold the post – and, at the age of 30, the company's youngest plant manager. Ohurongo Cement is owned by German company, Schwenk Zement and is the only cement plant in Namibia. Alberts first joined the company in July 2013 as Divisional Production Manager: Grinding and Burning, responsible for clinker and cement production at the plant. Alberts takes over the role from Manfred Pirker, who has been appointed as an Executive Advisor to the cement plant. Pirker managed the plant for three years and was one of the few expatriate employees remaining at Ohurongo. 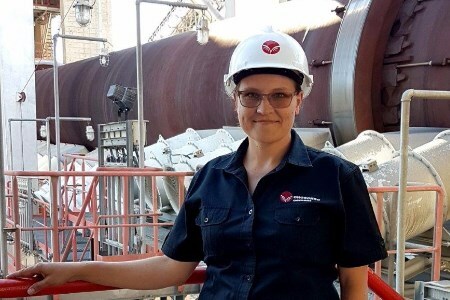 “We are very excited to have Ms Alberts as the new Plant Manager, we look forward to her continued impact on the Ohorongo family, the mining and manufacturing industry in this new role,” said Hans-Wilhelm Schütte, Managing Director of Ohorongo Cement.